The homophobic comments, made on a public platform earlier this week by Umzinyathi District Mayor, James Mthethwa, that he intends clamping down on homosexuality and that gay people spread AIDS, have no place in our society. The DA will report Mr Mthethwa to the South African Human Rights Commission (SAHRC) and ask the commission to investigate his offensive and unconstitutional comments. The SAHRC, which is tasked with supporting constitutional democracy and with promoting respect for the human rights of all South Africans without fear or favour, is the appropriate institution to probe these comments. Mthethwa reportedly made the comments at the launch of the Umzinyathi Community Health Work Training Project in Dundee, KwaZulu-Natal. According to the Sowetan newspaper, he said he was concerned that homosexuals were bringing shame to communities and were responsible for the spread of HIV. He also said homosexuality needed to be stopped “before spreading to other places”. Alarmingly, he went on to say that community health workers would run a door-to-door campaign to educate locals “about the dangers of homosexuality”. It goes without saying that this statement is discriminatory and amounts to hate speech. Homophobia has no place in the open and inclusive society that is envisioned by our Constitution. Mthethwa’s comments demonstrate that, despite their constitutionally protected rights to equality and human dignity, the LGBTI community is still subjected to a considerable amount of discrimination. Reckless statements from community leaders such as Mthethwa no doubt breed the deep- seated prejudices against members of the LGBTI community that are still so prevalent in society. It is statements such as these that not only provide the public with incorrect information but also fuel the victimisation and stigma that members of the LGBTI community have to face on a daily basis. 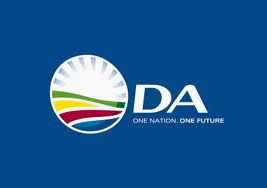 The DA condemns the statements made by Mthethwa and we continually stress that leaders at all levels of government must work together to build a society that is devoid of discrimination based on sexual orientation and gender identity.